Riva Froymovich is a Millennial journalist and first-generation American, raised on the promise of the American Dream but now questioning its future. 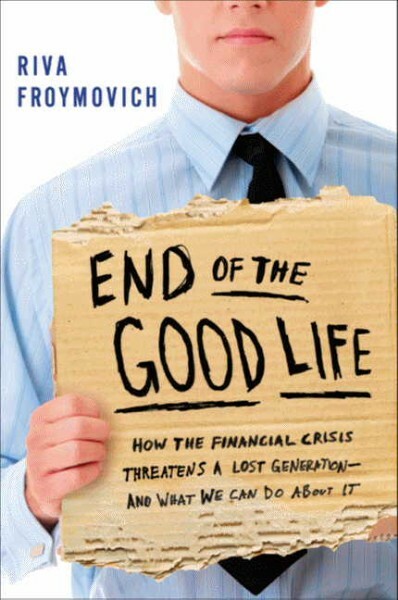 In End of the Good Life: How the Financial Crisis Threatens a Lost Generation - and What We Can Do About It (Harper Perennial), she chronicles the impact of the financial crisis on Generation Y and promotes innovative reforms to build a better future. Far from a tome of complaints, the book collects in-depth research and interviews from across the world and encourages Generation Y to find new ways to succeed. Froymovich gives a voice to those caught in an unforgiving policy trap, suffering from high levels of under-employment and debt that will have a long-term impact on life expectancy, wages, job stability, happiness, and national economic growth. Froymovich is the ideal speaker for a wide range of events at universities, schools, corporations, economic forums, youth groups, and cultural organizations. 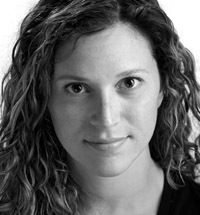 A member of Generation Y, Froymovich graduated from New York University and has reported both in print and on camera for The Wall Street Journal and the Dow Jones, among other outlets. She has covered the euro-zone in the throes of collapse, the U.S. dollar's historic decline during the Great Recession, the rapid rise of emerging economies, the central banks as they faced their biggest challenge since the Depression, and politicians' attempt to cobble together financial regulation. "In End of the Good Life, Riva Froymovich brings a critical question to the forefront: how can we restore an American Dream that is quickly fading for Generation Y? In an era where the gap between rich and poor in the US continues to widen, it's essential to examine the correlative gap in generational prospects and prosperity. Froymovich illustrates the problem in a vivid and personal way and offers bold prescriptions for meeting this daunting challenge." "A fascinating, global trip through the daunting numbers and frank stories of the challenges facing young people who want to start a business, make a better living than their parents, or just survive when the financial cards are stacked against them. The End of the Good Life is a must-read to understand how the recent, disastrous past could create deep ripples into America's future." "An insightful and astute narrative about the world in which Generation Y is living and what the Millennials (and the rest of us) will need to know about how to be successful now and in creating the future." "Froymovich debuts with an impressive presentation... A forcefully written treatment of the plight in which an increasing number of people find themselves."